Minister of Justice Ayelet Shaked reached an agreement with MK Miki Zohar, MK Osnat Mark and the Israel Bar Association, according to which the passing grade for the Bar Association qualification will be 60 instead of the current passing grade of 65. According to the agreement, the updated transition score (60) will be valid for all of the following certification exams and will also apply to those who were tested on the last three exam dates in the new format. A special certification ceremony for those who pass the exam following the change in the passing grade will take place until March 2019. As part of the agreements between the parties, it was agreed that those who took one of the last three exam dates and received a score of between 50 and 59 will be able to access a special examination date, in which the examination will be conducted in accordance with the format prescribed by law. The special examination date will be determined in consultation with the National Council of the Israel Bar Association, in accordance with the provisions of the regulations. It should be noted that the said agreement was formulated after consultation with the members of the examining committee, who gave their consent to the move. 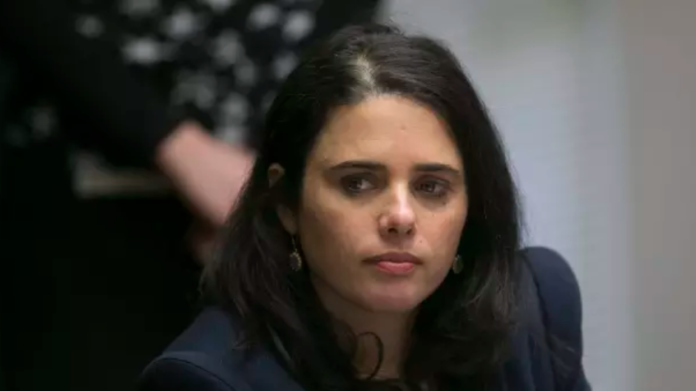 Justice Minister Ayelet Shaked said that “the legislation that was approved in its second and third readings is not a proper solution, and the threshold should not be lowered to 50. “In the new regulations we will place the lawyers in line with other professions such as accountants. I thank the Chairman of the Examination Committee, Judge Shochat, the entire committee for dedicated work, MK Mickey Zohar, and the Director General of the Ministry of Justice, Ami Pelamor, for the joint and balanced agreement reached by all the examinees”. MK Miki Zohar said, “Unfortunately, the internship law has not yet advanced to a Knesset vote because the prime minister has not yet managed to decide the matter. In any event, it is important to note that there is a real risk that even if the law passes in the Knesset, it may be disqualified or probably delayed for many months in the High Court of Justice. “The compromise that was reached with Minister Shaked that the 60 grade will pass the last three dates and of course also so on is an important and immediate achievement together with another significant achievement in the fact that anyone who received a score of 50-59 during the last three dates will receive a short and reasonable test, with a passing grade being 60”. It should be noted that the decision to lower the passing grade adds to the additional leniencies that Minister Shaked has led in recent months, including: the Examiners’ Committee gave an additional for the exam in this manner: a time of 4 minutes for the question in the substantive law instead of current 3-minute limit. In the discussion section there will be a time of 2.5 minutes for the question instead of 2 minutes. In addition, the “third decree” was annulled, the list of enactments for the examination was reduced and the distribution of the list of enactments was determined – to the procedural part separately and to the substantive part separately, once again, additional leniencies.